My Wife Is From Zimbabwe. Her Family Still Lives There. Anyone that marries someone from another country might appreciate what I am about to share. We try to visit her family every other year, and there are financial implications for that decision. A flight to Zimbabwe cost anywhere from $2500 to $4000 depending on the time of year. And we would need two tickets. That is not something you can do on a whim. It requires forced savings and a plan. We had a plan; we were setting aside $250 per month to make this trip for the foreseeable future. That's $3,000 per year. I had heard of credit card travel rewards before, but frankly, I was a Dave Ramsey guy, and Travel Rewards was something that people who are reckless with credit cards did. Meanwhile, Brad was teaching tens of thousands of people how to travel the world for free. What is credit card travel rewards? This is where you open specific credit cards to get large sign-up bonuses. You can redeem these massive travel reward bonuses for free travel around the world. These sign-up bonuses typically are around 50,000 points. Now depending on how you use these, they can get you anywhere from $500 to $1,000 in either cash or travel credit, and it's pretty simple. At least they can if you have someone show you how to get started. So why this site? Although other sites are sharing similar information, I want to simplify it even further. I have access to the best teachers in this space including my co-founder Brad. I wanted the simplest tutorial available to get someone started. This tutorial is the 80/20 sweet spot tutorial. It is as simple as possible to get you up and running right away. When you sign up for these cards, there will be a few criteria that you will have to meet. Some cards have fees which you will pay upfront. A few of the cards will waive the fees for the first year. All of the cards will have a minimum spend requirement ranging from $2000 to $4000 in a three month period. So if you have at least $1000 per month in recurring and regular expenses, it's simple to hit these criteria. Personally, I just put my food and gas and some discretionary spending on the particular card that I have signed up for, and I use that card exclusively till finished or nearly finished, then I pivot to the next card. I am in no rush as long as I complete the minimum spend requirements in the specified amount of time. If you live a very frugal lifestyle and do not have enough expenses to run through the card, then you still have options. You can plan your minimum spend around a big purchase you have coming up. The card can be used to pay your property taxes or income taxes, and if you are close but need a little extra, you can purchase a gift card to a store that you frequently use like Costco or Target. Using gift cards allows you to get credit for spending earlier in the year without actually increasing your cost of living. But with Travel Rewards, for every $3000 I spend, I get anywhere from $600 to $1000 or more in free travel which is a 33% + rate of return on my investment. You will never find a rate of return this big anywhere else, and if you stack 2 to 4 of these cards together each year, you will easily get $5000-$10,000 in free travel each year. The key is to stop using your debit and credit cards sporadically, but instead doing it intentionally and with purpose. Because of this mindset, I never carry cash. In fact, I view cash as costing me 33% more because of the opportunity cost. Think of this as a simple game with a tremendous upside if you do it right. It makes the small things more fun. Travel Rewards should be even more appealing for big spenders and people in high marginal tax brackets. For instance, if you make six figures and fall in a 25% marginal federal tax bracket + state, FICA and Medicare then you could easily be approaching a 40% marginal tax. For you to spend $5000 on travel each year, you would need to earn $7000. !!!Yikes!!! (exclamation points for emphasis). But if you use the techniques I am about to show you; you can travel for free. Also, these points are not taxable, so it's like getting a tax-free raise. But if you live beneath your means and have implemented some of the other lifehacks that we discussed like crushing expenses, living beneath your means. 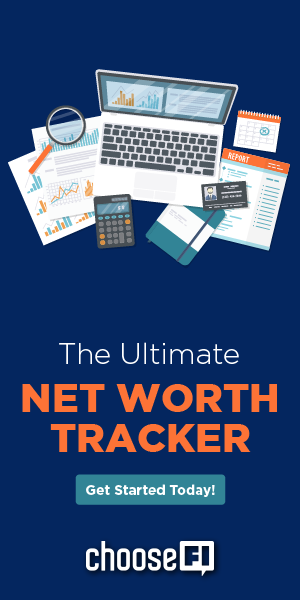 If you are good with credit cards, you pay on time and in full every month, and you don't need these credit cards to make it from one paycheck to the next…You can crush this game, and I am excited to show you how. If this describes you, then you are thinking like me. Would you like to be able to have miles tucked away for an emergency like a funeral or a happy event like a wedding that you can use anytime? When you open a line of credit, the company offering the credit does a hard pull on your credit score. The hard inquiry will decrease your credit score by 2 to 5 points, and this rolls off after a few months. Many of the factors that the will work to your benefit. Credit Card Utilization High Impact The amount of your total available credit that you're using. Payment History High Impact The percentage of payments you've made on time. Age of Credit History Medium Impact The average length of time your accounts has been open. Credit Inquiries Low Impact The number of “hard pulls” on your credit report for things like credit applications in the last two years. Derogatory Marks High Impact The number of collection accounts, bankruptcies, foreclosures, civil judgments or tax liens on your report. Anecdotally in my own life, when you open a card your credit score drops by 2 to 3 points, but in the following months those other factors come into play and often those other factors which favor the responsible, organized, individual seem to outweigh decrease from the hard credit inquiries. First of all, stop opening department store credit cards. My mom told me at Christmas time that she had gotten a great deal at TJ Max and saved an extra 10% on a $100 purchase by opening a credit card. DON'T DO THIS. This is a waste of an application. Card companies are lining up to give you a minimum of $500 to get a card in your hand. So $500 is the absolute minimum you should be willing to accept to do the credit card company the favor of putting their card in your wallet. Don't waste an application to save $10 on your bargain clothes when the alternative is getting $500 to $1000 in free travel. Do it the way I describe, and it will open up very cool options in your world. So how are you going to win this game? What is my process for opening cards? Look at your monthly expenses specifically your food, clothing, gas, Amazon purchases (all discretionary spending)If you spend around a $1000 per month, then this will be easy. Anticipating your regular spending gives you an idea of the frequency you should be considering opening cards. If you have $1000 per month in expenses, then the maximum cards you would want to open would be one every 3 to 4 months. There is no point to opening these cards if you can't or don't hit the minimum spend requirement. I also pay my tax bill with a credit card which usually helps me hit the balance on at least 1 additional card per year. I typically do not put my bills on the credit card as I find it to be too tedious to switch payment methods on all the individual services every 2-3 months. (I make exceptions to this rule occasionally when a card gives me triple points for a category. I have a Chase Ink business card that gives me triple points on phone and the internet. Anytime I have a recurring expense on a credit card I make a note about that expense on an excel sheet that way I know when to switch it over to a new card if I have stopped using the old one. I also alternate between opening a card for myself and then for my wife. Alternating essentially allows us to double the bonuses for which we would be eligible. In the podcast you guys mention cycling through cards every 2 years. Does that require canceling the card and reopening them every 2 years to get the same bonuses? Im just having trouble understanding how you can get the sign on bonus every two years. Thanks, this has been eye opening! Listener and reader from Ireland. .great work and while a lot of the micro detail is U.S specific, the macro can be applied anywhere. Specifically with respect the travel element and credit cards, European banks don’t offer points etc. Have you come across any similar life hack that Europeans can apply. Since it’s best not to add a spouse as an authorized user, what are the work-arounds for a spouse to be able to use the card in stores? Can you add a spouse’s card to apple/android pay? Another option I use with my wife is apple pay. She can use the card on her cell phone via apple pay at stores like Sprouts, whole foods, and any place with the clover register. Other than that we just pass it to each other before going to buy something. I may have missed this in the podcast or posts, but do you end up canceling the cards after a year or so? For example, after meeting the initial minimum spending and using your points, do you continue to pay the annual fees year-after-year? It seems like you would cancel and then re-apply for the card again in a few years. BTW – I recently found your podcast and have really been enjoying it. Hi guys. Amazing work! This is the only podcast I listen to having to do with FI. I have been doing some travel hacking for a while, but only with personal cards. The business card idea sounds great, but I have a question for which I cannot find the answer. These cards all require a minimum expenditure of 3K – 5K in order to receive the bonus. For a business card, does it need to be a business expense? Because that would make it impossible for me to get the bonus, since my business has very few expenses. Please let me know. Hopefully a quick question. If you’re doing the 10/24 with your wife is it hard to combine points? Or are you just booking accommodations twice (one from each rewards bank)? Thanks. Excited to start this adventure. Thanks for the site, the great podcast, and for answering these questions. Hi guys! I love your podcast! I’m single and in the high tax bracket. My fico is in the high 700s. I want to start travel hacking for points, etc! Amex just sent me a platinum invitation with 100,000 membership reward points if I charge $5000 in three months. The credit card has a $550 annual fee. I am considering it if I can charge my mortgage on Amex. 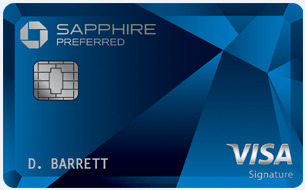 Should I do this Amex platinum or start with chase? Lastly, when should I cancel the Amex so I don’t keep the $550 fee? I just listened to this podcast, brilliant! I love taking advantage of these rewards programs that so many places offer. I found your site after listening to your Podcast featuring Physician on FIRE (I am also a physician with a passion for personal finance, hence the connection there). Even though I make a very comfortable income, I’m still looking for ways to maximize all the “free money” out there for grabs. I’d like to offer another spin on this (maybe investment hacking? ): for the last 4 years I have set up what I believe is the optimum rewards credit card cash back rotation (I calculated roughly 2.5% return) utilizing 4 rewards cards (Freedom, Ink, Citi Double and US Bank Cash+). Quarterly I cash out my rewards points and put them directly into an investment account and just watch it grow. So my advice for still squeezing out those rewards points once you’ve “maxed out” your sign-up bonuses and done some “travel hacking” is to move to this system. For the non-travelers, the sign-up bonuses also fit very nicely in an investment account. And to reiterate your disclaimer, this DOES NOT work if you don’t pay off your full balances every month! I really liked your financial tips for traveling. I am a student and have always wanted to travel, but I know it’s expensive. I really want to save money and travel to one day and I like your credit card travel bonus tip.